An interview agenda can be a guideline for both the interviewer and interviewee before they meet for an interview. It is a written document or form that outlines the necessary topics and steps to be used in a job interview. It gives the interviewer information about how he or she should present themselves at the table and how they can transit from one point to another. When you are in the human resources department tasked to conduct interviews with the hundreds of applicants each day, it is never an easy job. The interviewee can also depend on an interview agenda to learn what they can expect at the table and prepare themselves beforehand for the interview. The writing of an interview agenda begins the moment after a company decides to hire fresh employees and begins screening resumes of candidates for the position advertised. It serves as a guide for recruiters to easily facilitate the recruitment process and to make sure that the questions asked are aligned with the company requisites and standards. The interview agenda must be written at this stage after considering the various applications received from candidates. It makes it easier for the recruitment team to decide who to choose from among the candidates and makes the employment process hassle-free. Writing the interview agenda earlier will give the interviewer the opportunity to remain prepared not just to confront the candidates but also to make them comfortable with the interview on the kind of questions they should be posing. Before an interview, thoroughly review the job spec and know what qualities you are looking for in a candidate. Have a list of questions and the criteria that need to be met so that you can measure the responses against other candidates. 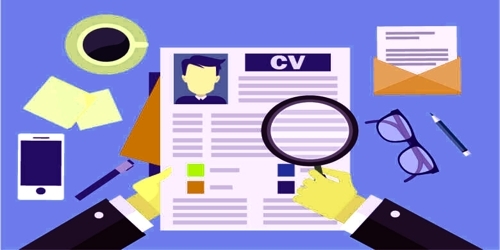 Review the candidate’s CV and take a copy into the interview. Seek to gain information during the interview will give you a better understanding of how the candidate works and how they will fit into your organization. Match responsibilities and skills in their previous role against the job spec and find out how they dealt with them. Try not to answer the question for them by giving away too much detail. You need to see how they listen and respond to questions. Ask questions specific to the problems they may face to see how they will deal with them. Record each candidate’s interview so you can analyze it afterward. The interview agenda is prepared for the individual who will be conducting the interviews of the shortlisted candidates for the company. Without an agenda, there is a chance that the interview will be unproductive and that you will only be wasting each other’s time. Having an agenda in their files will make it easier for them to follow a set pattern which would have proved successful earlier.